This model is a self contained portable unit designed to increase ionization levels in areas where there is no ventilation system or it is not accessible. The unit contains a fan, pre-filter, carbon filter, and two bipolar ionization tubes all housed in a heavy gauge powder coated steel enclosure. 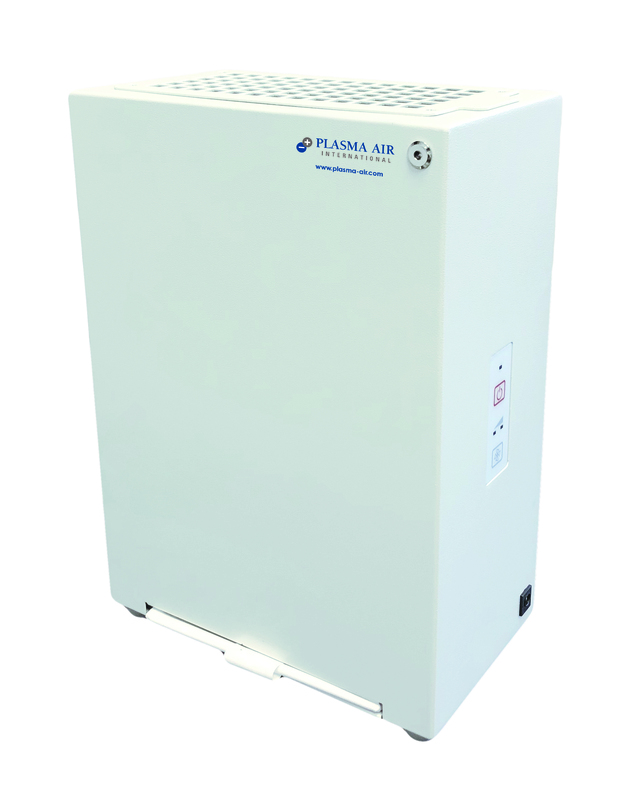 This unit is ideal for environments with high pollutant levels and strong odors. The P1000 should be placed on a flat surface at waist level or higher in an open area between 200 ft2 and 750 ft2. The P1000 can be placed flush against a wall, but should not be obstructed by other objects that would restrict air flow in or out of the unit. The P1000 can be plugged into a wall outlet through its 100-240V AC power supply. The P1000 is designed to run continuously. The P1000 is designed to serve up to 6,000 ft3 (750 ft2 with an 8 foot ceiling) of indoor air. However, the P1000 is equipped with three (3) fan speeds and two (2) ionization tubes to provide the appropriate amount of airflow and ionization to serve various applications.